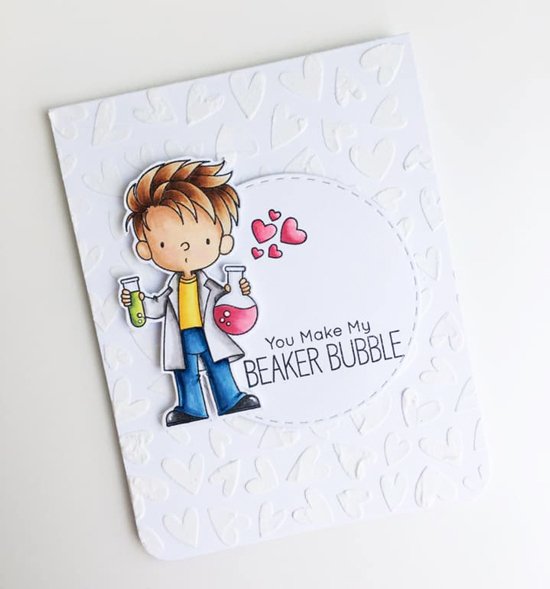 Lindsay used the new Cute Chemists stamp set to create a colorful character on her love-themed card. We love the textured, tone-on-tone background she created with texture paste and the Lots of Heart stencil - it perfectly complements her sweet scene. 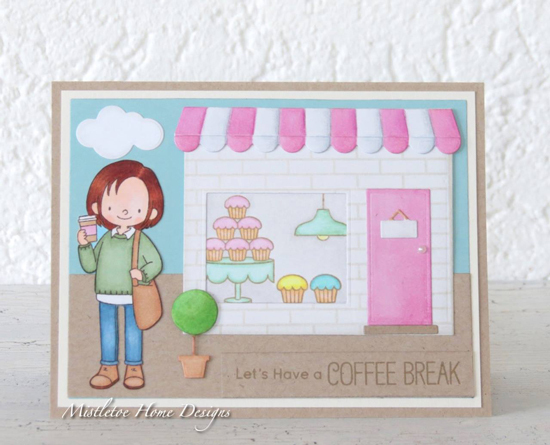 Monika went with a soft color palette on her design using pastel pinks, greens and yellows to add color to the elements on her card. The blue and kraft background nicely coordinate with the stamped elements and also provide the landscape for her scene. An ink blended background is a great way to add multiple colors to a card design with a seamless look. Maria created a gorgeous blend of oranges, pinks, blues, and purples and then cut it into strips for some added interest. 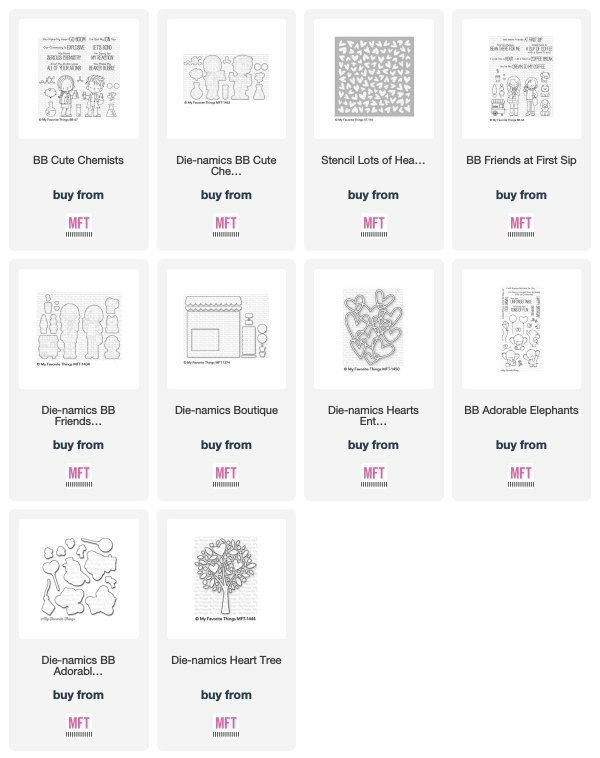 We love the unique placement of the adorable elephant with the Hearts Entwined Die-namics. 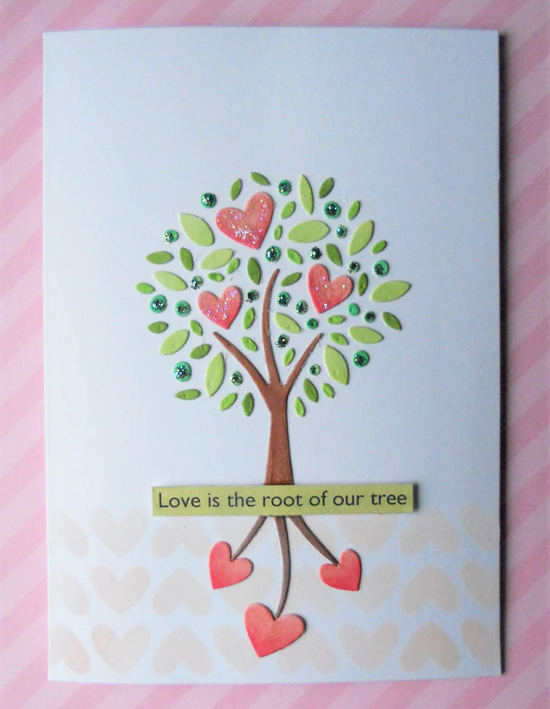 Tara used the Heart Tree Die-namics as the focal image on her card and got really creative with her use of the die. The separate die cut pieces that form the tree provided her the pieces needed to add a root to her tree design to give it a completely unique and unexpected look. 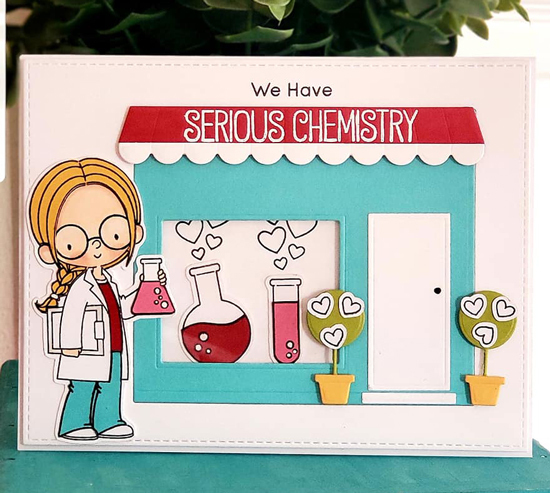 Amy combined the stamped images from the Cute Chemists stamp set with the Boutique Die-namics to create a colorful scene on her card. We love how she added the sentiment to the top of the boutique and shaped it to fit perfectly on the awning. Thanks for spotting me - I was really pleased how my card turned out! Wow, I'm so happy and very flattered by being spotted!!! Thank you so much, MFT!!! Congrats to the other spotlighted crafters!!! Such really cute cards, thank you for sharing!! So honored to be spotted along with other beautiful projects. Thank you so much MFT! Yay Amy! Congratulations to everyone!